Its very existence, the majority of which is now under the guidance of man, has been under controversy since the 1970’s up to today. 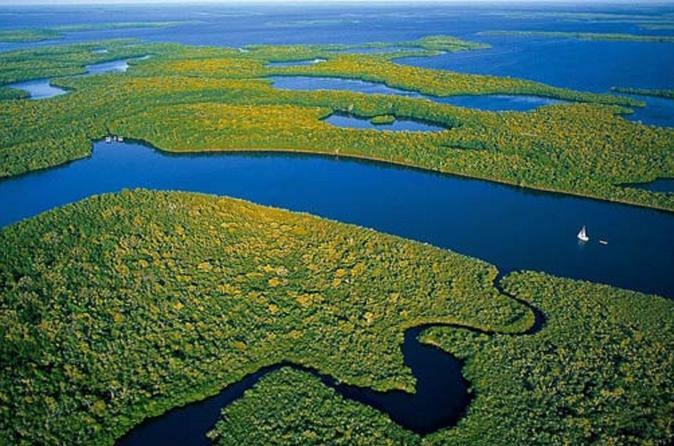 Join with us on an eco-tour of the Everglades and judge the situation for yourself. An alligator is sure to raise his head early in the morning, and if we watch closely, we can see the flowers bloom just barely above the waters edge. We will explore a small portion it’s existence, and of course revel in its beauty. Pick you up at your hotel or where ever aqnd that is where the tour begins! One hour of relaxed chatter for one hour into the Everglades. Here you will board an airboat, feel the breeze in your hair/or not, and visit Miami as it was more than 100 years ago. The alligator show is everyone's highlight and then the walk about in the back of the property shooting nature at it's best. We can drop you back at your origin or wherever you need to be. A gratuity(tip) is always appreciated. This begins at 15%.